Heather Stout, from the Ovenden Initiative, arranged for the St. Michael and All Angels Primary School Junior Wardens to conduct speed tests on Halifax Road in Shelf, to see if drivers are sticking to the 30mph speed limit in the village, before the new 20mph speed limits are implemented. Northowram and Shelf is one of the last wards in Calderdale to install 20mph speed restrictions in built up areas. Signs should be in place by the end of September. Accompanied by Ms. Loach from the school, 12 pupils took turns holding the speed gun to find out the travelling speeds of passing vehicles, and although the group were at the roadside for only 30 minutes, a total of 80 drivers had passed in that time. The majority of those drivers were travelling either at or below the 30mph speed limit with an average speed of 27mph overall, but astonishingly, over 20 drivers were above the 30mph speed limit with one driver recorded at a speed of 37mph. The junior wardens were in plain sight of all drivers and gave a thumbs up to those who drove within the speed limit and a thumbs down to those who didn’t. The majority of the Junior Wardens live in Shelf, and were shocked to find drivers breaking the speed limit in their village. 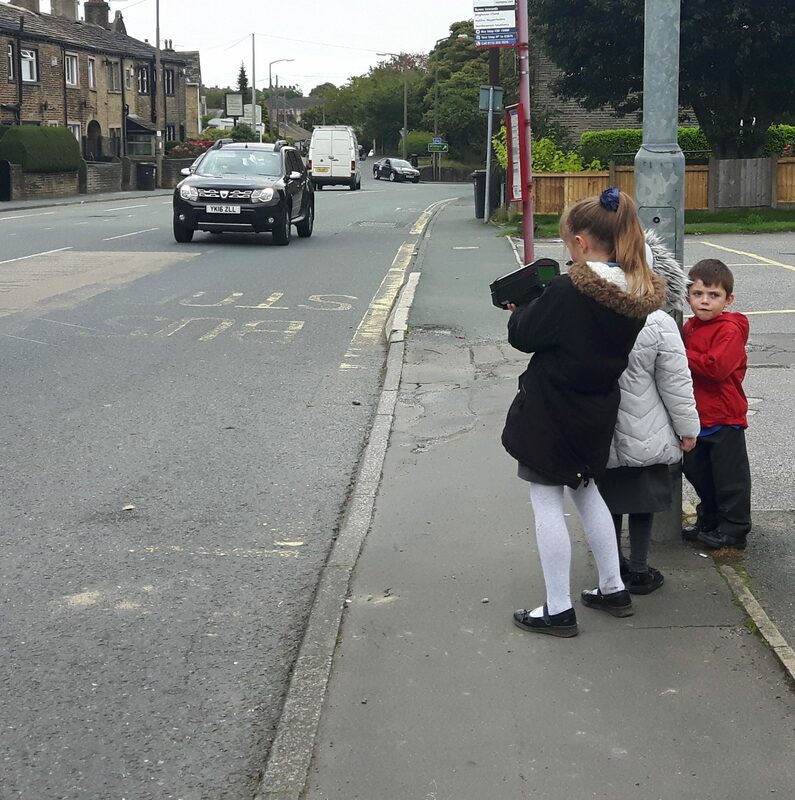 All the Junior Wardens said they were going to go home and tell their parents and grandparents about the results and hope that drivers passing through Shelf will be more careful in future as a result of their speed tests.